Noel Gallagher’s past casts a lengthy shadow. Having been part of Oasis for two decades – writing the lion’s share of their songbook in the process – his transition from band leader to solo artist represented a formidable leap. While initially this seemed to prompt a certain brand of musical conservatism from the guitarist, last year’s psychedelic opus ‘Who Built The Moon?’ seemed to display a renewed sense of daring, from the lush guitar effects to the French language spoken word to the much-discussed scissor-playing. It’s these instincts which come to the fore at a sold out SSE Wembley Arena. Noel Gallagher’s High Flying Birds are now a taut, muscular unit, with a three album catalogue to draw on which has plenty of actual, bona fide fans of its own. Opening with ‘Fort Knox’, you feel the band limbering up, stretching its limbs, allowing the amps to warm and the crowd to become a little restless. Then we’re into ‘Holy Mountain’ and ‘Keep On Reaching’, and it feels like the whole arena surges forward. ‘It’s A Beautiful Life’ is a slice of beatific optimism, while ‘In The Heat Of The Moment’ is given an interstellar overdrive workout. Dipping back into his own solo songbook, Noel Gallagher introduces ‘Ballad Of The Mighty I’ before dedicating a searing, blissed out ‘If I Had A Gun...’ to his wife. Relishing every second, Noel skips past the mid-set lull by introducing two late period Oasis gems, with ‘Little By Little’ leading into ‘The Importance Of Being Idle’. Crowd-pleasing moments, for sure, but the band are at their most inspired when allowed to stretch out, such as a tender ‘If Love Is The Law’ or a righteous ‘She Taught Me How To Fly’. Returning to his Oasis work, ‘Half The World Away’ is given a cute, almost chirpy rendition, while Noel channels the spirit of Ryan Adams on a deft, refreshing ‘Wonderwall’. Initially ending with a coy ‘AKA… What A Life!’ the guitarist returns for the encore with a spring in his step, solo cut ‘The Right Stuff’ being followed by an excellent re-working of the much under-rated Beta Band homage ‘Go Let It Out’. The continuing love affair this country has with ‘Don’t Look Back In Anger’ makes it the perfect set closer, it’s cultural importance and lasting emotional tug meaning that it scarcely even qualifies as music any longer; drinks are abandoned, friends are clutched, and memories recalls, a kind of perpetual New Year’s Eve moment in which everyone is invited to share. It’s a sobering thought but some of the younger fans here weren’t even born when Oasis released the song as a single, an artefact passed from generation to generation, underlining the continued vitality of the songwriter-in-chief. Ending with a spirited version of ‘All You Need Is Love’, it’s a smiling, impish homage from the guitarist. 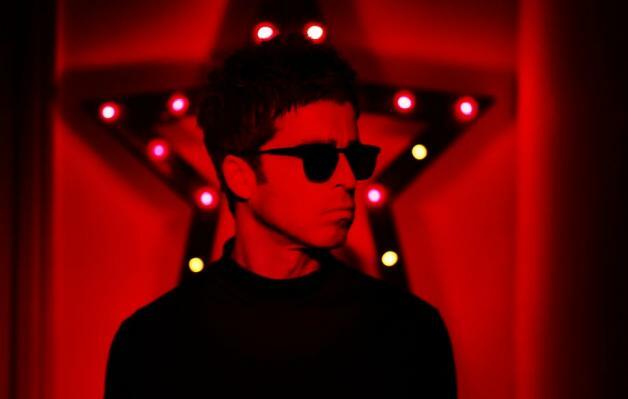 Aware of the shadow his own work creates, Noel Gallagher opts to play with it, to re-invent it, and to cherish it. Tonight’s show is a triumph, a national treasure finding renewed desire to push his own word forwards.